Yooralla provides inclusion supports to educational and care services, enabling them to include children with additional needs in everyday settings. Budget Based Funded (BBF) program services. Yooralla’s Specialist Equipment Library (SEL) loans equipment to Victorian early childhood education and child care services, to enable greater inclusion for children with high physical support needs. Find out more about Yooralla’s Specialist Equipment Library. 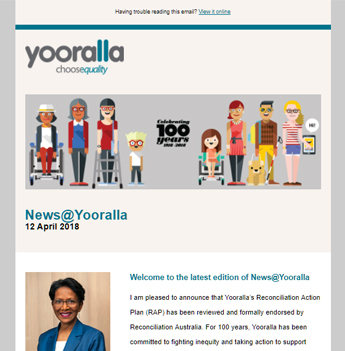 To learn more about Yooralla’s Inclusion Support Program, please contact us.